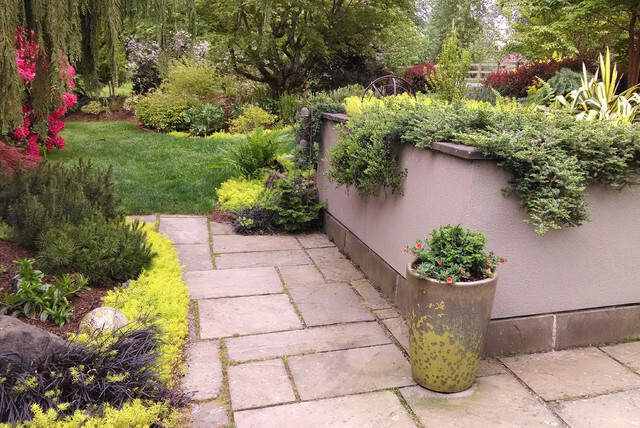 Trailing shrubs soften the stucco walls. Yellow yucca and Angelina Sedum brighten up the area. Trees provide some shade to the west facing terrace and entry gardens.